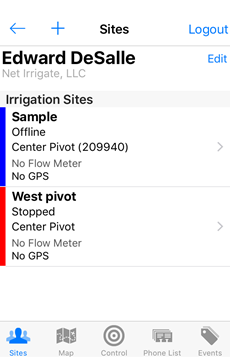 Login to the Net Irrigate App on your mobile device. Under the “Sites” page select the site you’d wish to adjust notifications for. This will take you to the “Map” page. Next, select the “Phone List” page. To add a phone number, click the “+” symbol in the top left corner. 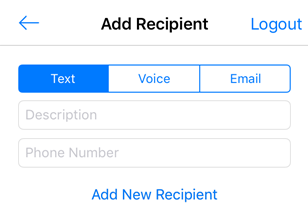 Select between a text, voice, or email notification and then enter their name and number/email. 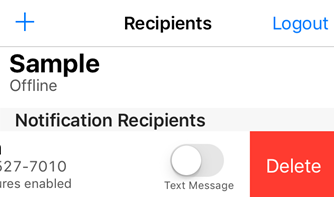 When finished click “Add New Recipient”. You can turn on and off an individual’s notifications by clicking or sliding the button to the right of their name. If you’d like to delete an individual from a site, simply swipe left over their name and click “Delete”.